The Rozsa Center for the Performing Arts presents the “Intergalactic Nemesis: Target Earth – a live-action graphic novel” at 7:30 p.m. Saturday, March 26, 2016. 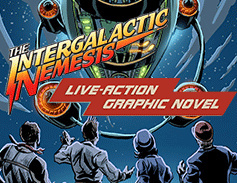 “Intergalactic Nemesis” is a hilarious all-ages science fiction adventure story set in 1933, and features three actors, a live sound effect artist, a piano and more than 1250 projected comic book panels in a retro radio-drama-extravaganza live on the Rozsa Center stage. When “The Intergalactic Nemesis Live-Action Graphic Novel” premiered, more than 2,100 people turned out. Shortly thereafter, it was featured on NPR and Conan O’Brien. Now, in its third touring season, the production has hit more than 80 venues around the U.S., U.K. and Canada, including a run at the New Victory Theatre on Broadway. The story involves Pulitzer-winning reporter Molly Sloan, her intrepid assistant Timmy Mendez and a mysterious librarian named Ben Wilcott facing the most serious threat Earth has ever known—an impending invasion of sludge monsters from the planet Zygon. Tickets are on sale now, $20 for adults, $10 for youth. No charge for Michigan Tech students via the Experience Tech Fee. Advance reserved seating is now available. Tickets are available by phone at 7-2073, online, in person at the Central Ticketing Office in the Student Development Complex or at the Rozsa Box Office the evening of the performance. 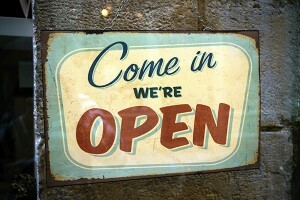 Note the Rozsa Box Office only opens two hours prior to performances. Michigan Tech Visual and Performing Arts Audio Creative Lab class is getting noisy with the cast of ‪#‎TheIntergalacticNemesis‬ this Saturday, March 26, 2016, at 10:30 AM in Walker 210. Join VPA students for a listen to their Audio Movie projects and then stay to meet the cast of Nemesis for a Q&A! Our students are ‪#‎crazysmart‬, and these Audio Movies are crazy cool! Join the choirs of Michigan Tech as they present a concert to benefit the Society of St. Vincent de Paul. 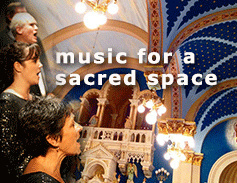 “Music for a Sacred Space,” will take place at 7:30 p.m. Sunday, March 20, 2016, at St. Joseph Catholic Church, Lake Linden. The concert will feature the Michigan Tech Concert Choir and conScience, the Michigan Tech Chamber Singers performing sacred choral music performed in its natural habitat, the local treasure that is the magnificent space of St. Joseph Catholic Church. The repertoire will range from “I Will Lift Up Mine Eyes” by John Rutter, to “Unclouded Day” arranged by Shawn Kirchner. Free will donations in any amount are welcomed. From Tech Today, by Visual and Performing Arts. Student Works-in-Progress will be on display from 5 p.m. to 6:30 p.m. on Wednesday, March 2 and Thursday, March 3, 2016, in Rosza Gallery B. Join students from many different disciplines for a gallery reception of their art works-in-progress. This is a great opportunity to see creative work in process, and to visit with student artists to discuss their ideas. From Tech Today, by Lisa Gordillo, VPA.